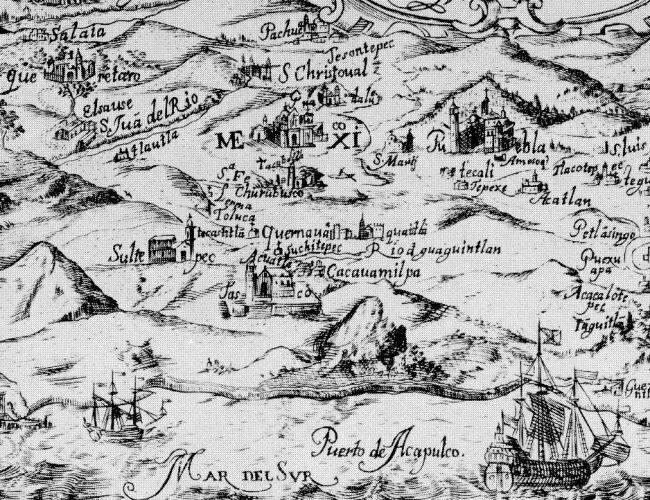 One of the earliest known maps engraved in colonial New Spain (Mexico) was that drawn by Antonio Ysarti in 1682. It shows the Franciscan Province of San Diego of Mexico, with its 14 friaries, from Oaxaca in the southeast to Aguascalientes in the northwest. It covers the archdiocese of Mexico City, as well as the dioceses of Puebla and Oaxaca to the east, and Michoacán and Guadalajara to the west. Sadly, very little is known about Antonio Ysarti, the map’s talented cartographer; not even his nationality is known for certain. The map measures 29 x 19 cm approx (11.25 x 7.25 inches) and names more than 50 places. Each friary is depicted as an architecturally distinct building, not by the use of a common symbol. Q. How well do you know central Mexico? Click on the map above (to reveal the section between Mexico City and Acapulco) and then see how many places you can identify and match to present-day place names. The changing political frontiers of Mexico are the subject of chapter 12 of Geo-Mexico: the geography and dynamics of modern Mexico, a handy reference guide to all aspects of Mexico’s geography. If you have enjoyed this post, please consider gifting a copy of Geo-Mexico to someone in the coming holiday season. Several famous writers wrote about Mexico despite having no direct geographic experience of the country. One of the most famous was Jules Verne. Verne (1828-1905) popularized geography and was one of the pioneers of travel stories and science fiction. Curiously, one of Verne’s first published stories, was set in Mexico, despite the fact that he had never visited the country. The original title Verne gave the story was North America. Historical studies. The first ships of the Mexican Navy. Meticulous as he was in regards to his geography, Verne was understandably aggrieved when the publisher changed North America to South America without even asking him! The story was first published in 1851, and later reworked as A Drama in Mexico. The plot is set in 1825, shortly after Mexican Independence from Spain (1821). Mexico needed a strong navy to protect its extensive territory, which then stretched as far south as present-day Costa Rica. Antonio de Medina, the first Secretary of War & Navy, had fought at the Battle of Trafalgar in 1805. He persuaded the Mexican Congress to give high priority to the formation of a navy. Foreign interventions later in the century showed how prescient de Medina had been. 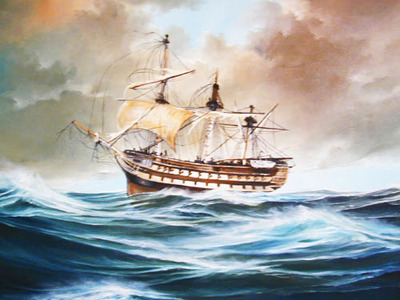 Verne’s story tells how the Mexican Navy obtained its first two warships, the former Spanish vessels Asia (later renamed the Congreso Mexicano) and Constanzia, following a mutiny by their crews. If he had never visited Mexico, how did Verne acquire the range of geographic knowledge displayed in this story? Like many other geographers before and after, he relied on qualitative fieldwork—gaining his knowledge by talking to seafarers in his native port of Nantes, and through conversations with Jacques Arago, a Parisian friend who had fought in Mexico’s War of Independence. “His novel Around the World in 80 Days, published in 1873, had great popularity in Mexico, where many writers made comparisons between the characters in the novel and the nation’s first international scientific expedition in 1874 that also circumnavigated the globe…” Mexican National Identity: memory, innuendo and popular culture). The main purpose of Mexico’s first international scientific expedition in 1874 was to observe, from Japan, the transit of Venus across the Sun. Verne became the most widely read French author of all time, and one of the most translated authors anywhere in the world. And what became of the Mexican Navy? Today, the Mexican Navy (Secretaría de Marina) has over 55,500 personnel, 300 ships and 70 aircraft. Its main tasks are to protect oil reserves in the Gulf of Mexico, assist in the fight against drug traffickers, and aid in hurricane relief efforts. 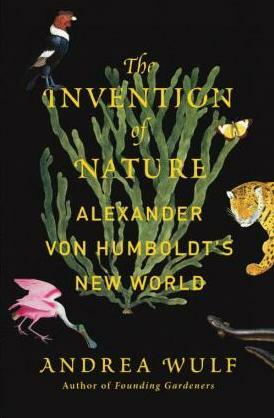 The English language press has lavished dollops of praise on The Invention of Nature: The Adventures of Alexander von Humboldt, the Lost Hero of Science, the biography of Humboldt written by Andrea Wulf, a design historian at the Royal College of Art in London. According to a review in the New Scientist, “Historian Andrea Wulf calls Humboldt the lost hero of science. It is extraordinary that a man once so revered is now largely forgotten.” This claim is gross exaggeration. It has limited validity in the English-speaking world and even less validity in the German-, French- and Spanish-speaking worlds. There have been several previous English-language biographies of Humboldt, some better than others. The earliest that immediately comes to mind, and one of the best illustrated, is Douglas Botting’s Humboldt and the Cosmos (1973). More recent works include Humboldt’s Cosmos by Gerard Helferich (2004); The Humboldt Current (2006), by Aaron Sachs (2006); and The Passage to Cosmos, by Laura Dassow Walls (2011). Generations of geographers have grown up learning about Humboldt’s explorations and his revolutionary ideas. There is no question that Humboldt’s life and work are worthy of numerous biographies. There is no question, either, that Wulf’s biography is an interesting read, and contains lots of valuable ideas. 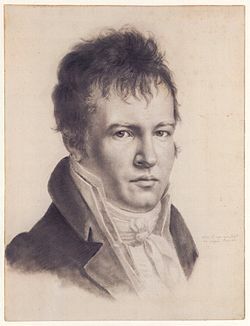 The author clearly went to great lengths to visit many of the important locales in Humboldt’s writing, and to read dozens of his books in their original German, and much of his voluminous correspondence, as well as examining Darwin’s copies of Humboldt’s works, etc., etc. However, Wulf misses the mark in this biography in two main regards. First, too much of the book is taken up with accounts of the sometimes tenuous links between Humboldt and later thinkers about environmental and other matters. The second concern, and the one that most concerns Geo-Mexico, is that Wulf completely ignores Humboldt’s time in Mexico, despite providing detailed accounts of his explorations elsewhere. It is arguably his year-long visit to Mexico that gave Humboldt not only the opportunity to collect yet more data and information, but also to reflect on the significance of his discoveries in South America. Surely, Humboldt’s views about volcanoes, for example, were shaped by the opportunity he had in Mexico to study Jorullo, the volcano (in present-day Michoacán) that had erupted a few years previously? Equally, Humboldt’s observations in the “Mexican Andes” (Sierra Madre Occidental and Volcanic Axis) undoubtedly helped Humboldt arrive at the conclusion that vegetation zonation with altitude had general applicability and was not confined to South America. Furthermore, it was Humboldt who first remarked on the fact that Mexican volcanoes lie in an East-west belt (Volcanic Axis) and were not arranged parallel to the main mountain ranges, as in South America. 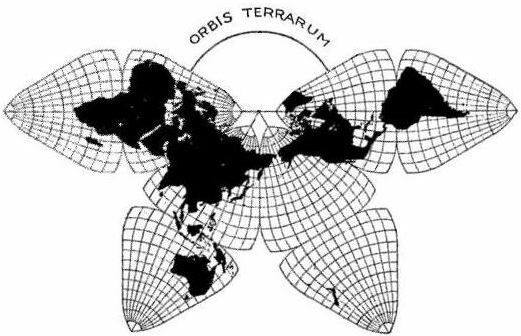 (The alignment of the Volcanic Axis is still something of a geological puzzle, since it does not appear to fit the general model of plate tectonics). The omission of Mexico and the large number of pages devoted to later thinkers detract from the quality of Wulf’s biography, making it an interesting and readable, but unbalanced, and ultimately unsatisfying, portrait of one of the world’s greatest ever thinkers. For a definitive account of Humboldt’s time in Mexico, see, La Obra de Alexander Von Humboldt en Mexico, Fundamento de la Geografía Moderna. by Rayfred Lionel Stevens-Middleton (Instituto Panamericano de Geografía y Historia, 1956). 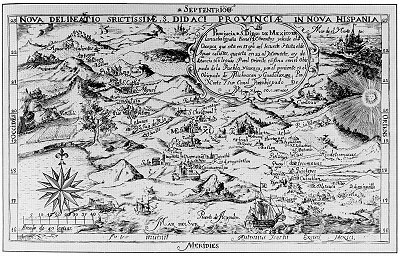 In a previous post, we introduced the Geographic Accounts, a rich source of information about Mexico’s sixteenth century geography. 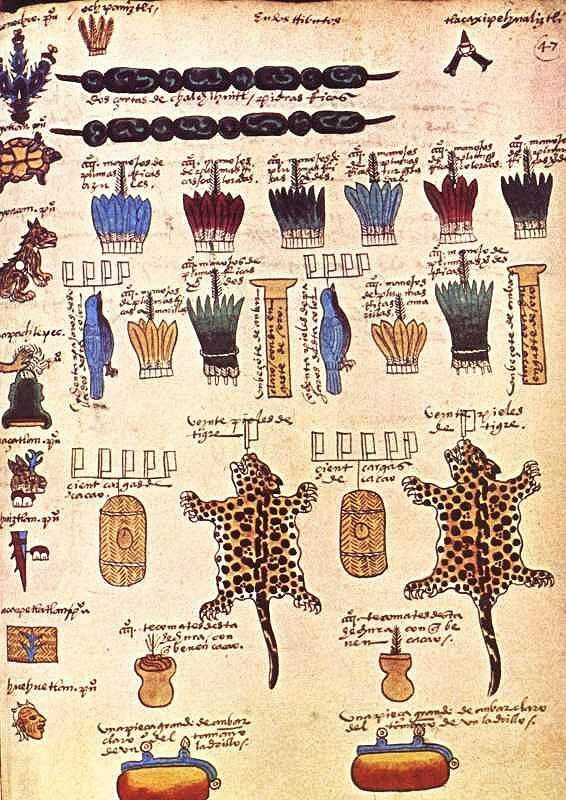 The style and substance of a typical Geographic Account can be judged by extracts from the response (dated 1579) relating to Jiquilpan (then written as Xiquilpan), in what is today the western part of the state of Michoacán in western Mexico. In the following (translated) extracts, square brackets enclose editorial comments, not found in the original. The village is settled on flat and very level ground, without hills…. It is very fertile land. It produces a lot of corn, chile, beans and other seeds that the natives sow. The native fruits are guamúchiles, avocados and guavas. There are lots of figs, pomegranates, quince trees and grapes. It is land where anything that is sown grows…. Xilquilpan has very few Indians: there could be in it about one hundred tributary Indians. They say that before the land was won, there were one thousand two hundred people. After the lands had been won, their number has been diminishing as a result of the many diseases that have occurred. In particular, in 76, there was a great plague in this village, common throughout New Spain, from which a large number of people died…. There is a wild plant in this village which cures those who are crippled. It has leaves like a lettuce and is so hot that the part where the root is put burns naturally, like a fire. There is another [plant], which has a root similar to camote: it is a preventative for everything. They cure with these herbs and with others that the natives know…. The animals that there are in the village are wolves, which breed in the swamps that surround some reed beds, a quarter of a league from the village. More than eighty thousand sheep come from other parts to pasture seasonally on the edge of this village each year; it is very good land for them and they fatten very well, since there are some saltpeter deposits in the marsh. Xiquilpan has a monastery of monks of the Order of San Francisco; it has two clerics, one is the guardian. The founder was Brother Juan de San Miguel, and it was founded about forty years ago for all the clerics that were in this province of Mechuacan. The village has a hospital, where the sick are treated, which was begun thirty years ago and founded by a cleric called Brother Alonso de Pineda of the Order of San Francisco. It receives no rents: it is sustained only by the poor, from the alms they beg from the natives. As can be seen, the Geographic Accounts are of immense value in reconstructing the past history of Mexico. The detail in them is often quite astonishing. However, as René Acuña emphasizes, while the Accounts provide invaluable information about local cultures, including that of the indigenous peoples, they should never be considered completely reliable. They were not eye-witness accounts and often relied on hearsay and on the possibly dubious interpretations made by a relatively limited number of respondents. “Happy Geographers’ Day”, “Día del Geógrafo”! 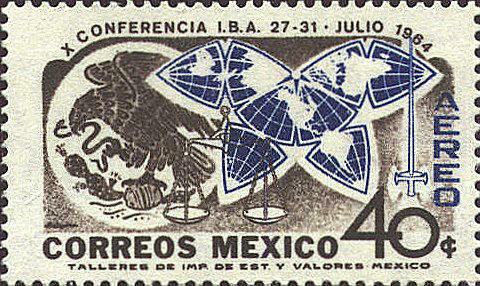 The full text of Mendoza Vargas’ short paper proposing 23 July as “Día del Geógrafo de México” can be seen here. It includes some interesting background history. A Happy Geographers’ Day to all our readers! Mexico’s first international scientific expedition in 1874 left Mexico City with only a few months to travel half way around the world to Japan to set up their instruments in time for the transit of Venus on 9 December. 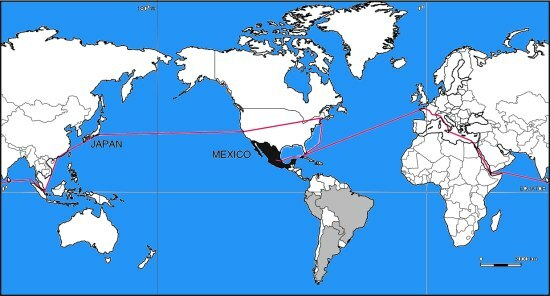 Looking at a map, the quickest route would appear to be via Acapulco and then by boat across the Pacific. 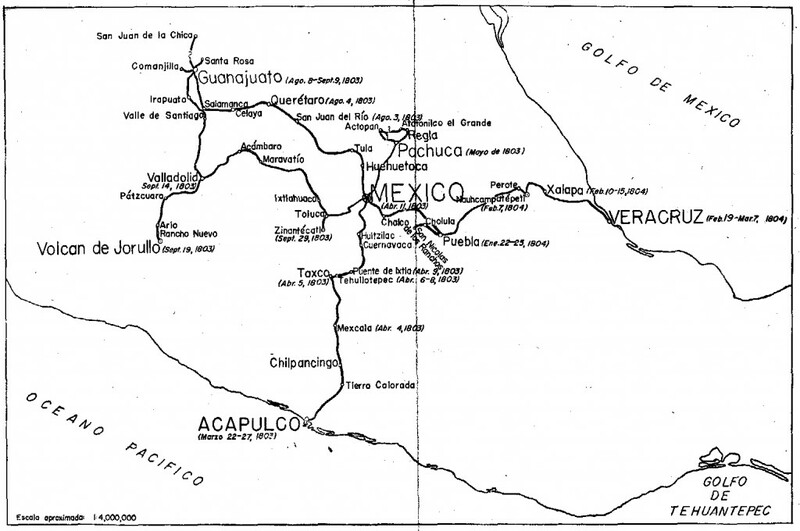 However, in 1874, the “road” to Acapulco was often in appalling condition, especially after the rainy season, and boats crossing the Pacific from Acapulco were few and far between. The Commission of Mexican Astronomers opted to travel via San Francisco, from where more vessels left regularly for the Far East. Getting from Mexico City to San Francisco in 1874 was nowhere as simple as it is today. For the first part of the trip, the intrepid group was able to take advantage of the Mexico City-Veracruz railway line, inaugurated only the previous year. This was an arduous and long trip in those days. Fortunately, the railway from Mexico City to Veracruz had just been completed. 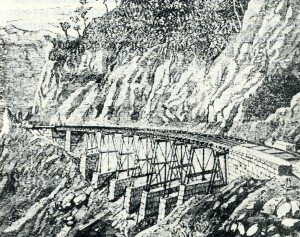 The expedition’s memoirs include a charming sketch of the Infiernillo railway bridge (see image). Boats from Veracruz did not operate on a strict timetable either, and the group decided to wait in Orizaba for news of a suitable vessel rather than risk exposing themselves to the tropical diseases prevalent in the port itself. They had left Mexico City on 18 September and eventually set sail from Veracruz six days later—to Havana, Cuba. This was because vessels were much more frequent to the USA from Cuba than from Mexico. Landing in Philadelphia on 30 September, the group was placed in temporary quarantine until diplomatic efforts succeeded in getting them released. A few days later, they caught a train to New York, and then the following day, to Chicago and on to San Francisco. Within a week, they had berths on board the Vasco de Gama to Japan. Their route back home was via Hong Kong, Ceylon (now Sri Lanka), the Suez Canal, Italy and France (see map). By the time they arrived back in Mexico, they had completed a world tour, though it had taken somewhat longer than that of Jules Verne’s fictional tale Around the World in Eighty Days.